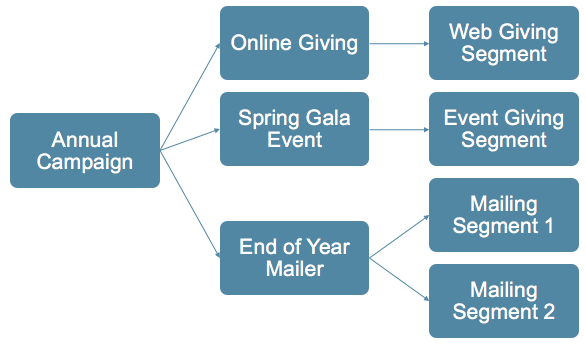 In this scenario, we see that there are three main fundraising efforts going on for the year: online donations are being collected, likely with a "Donate Now" link on the organizations website, there is a gala fundraiser event in the spring, and there's one mailer that goes out at the end of the year. 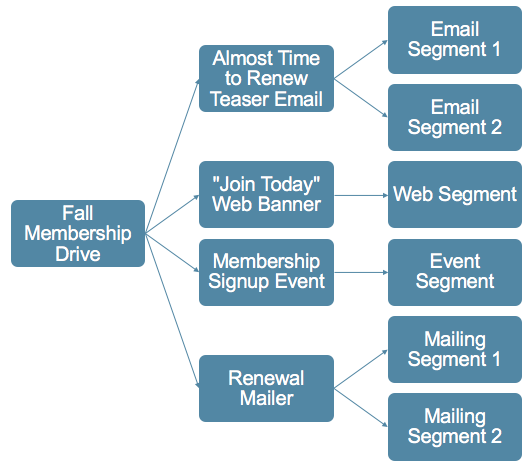 Even this is somewhat simplified; some organizations may have dozens of segments for a single mailing. But you get the idea.